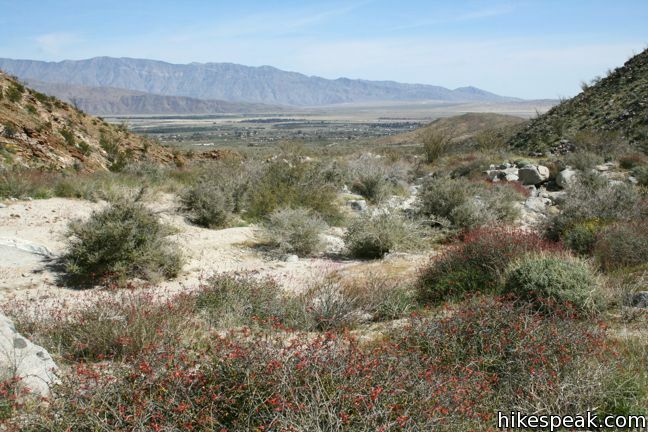 Hellhole Canyon is backed up against the San Ysidro Mountains just southwest of the Anza-Borrego Desert State Park Visitor Center in Borrego Springs. 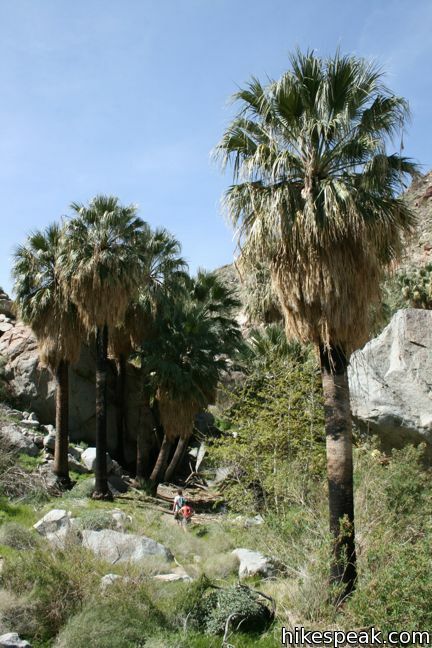 The ominously named canyon is home to Maidenhair Falls, a seasonal 20-foot waterfall that makes a refreshing hiking destination on a hot day in the California desert. If you are visiting the park in early spring, or any time rains bring water to Hellhole Canyon, Maidenhair Falls should be on your itinerary. 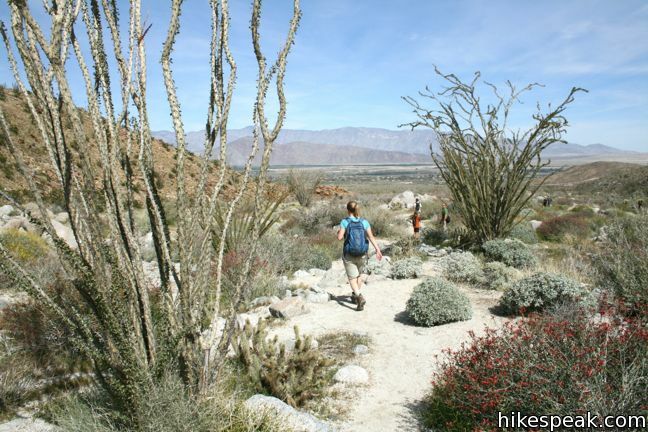 The trail to the mouth of the canyon is wide and well maintained, but when the canyon narrows, rock scrambling becomes mandatory and there is only a faint path to follow to the top of this 5.5-mile round trip hike with 1,000 feet of elevation gain. 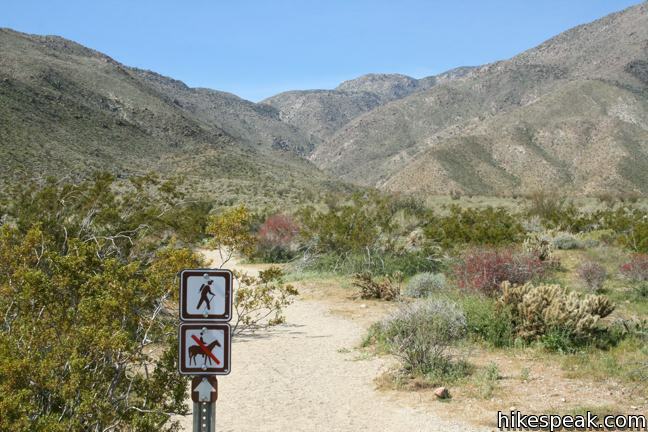 Starting from the same trailhead as the California Riding and Hiking Trail, head west toward Hellhole Canyon. Three canyons are visible from the start of the trail. 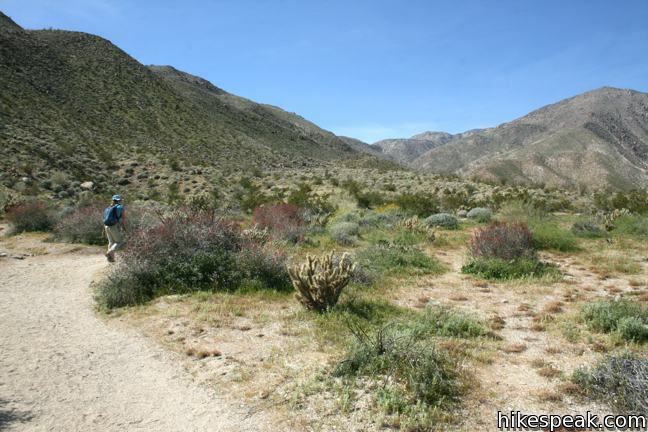 Hellhole Canyon is furthest to the left, and conveniently that’s exactly where the trail will take you. 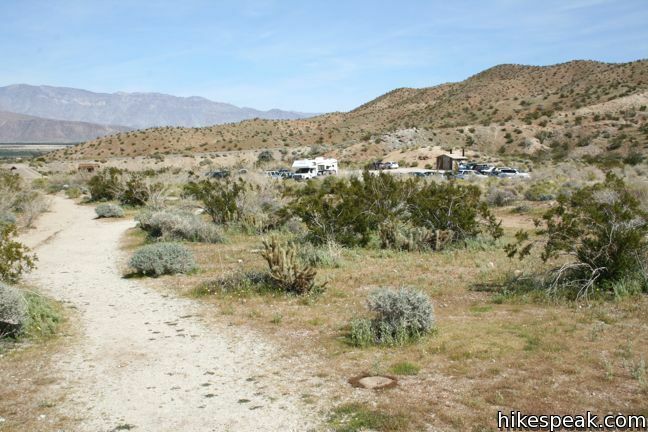 A quarter mile from the start, go straight through a junction with California Riding and Hiking Trail, which heads up into the mountains to the left. A single track coming in from the right connects to the visitor center, which is a more distant starting point for this hike. Progress up the wide alluvial fan outside Hellhole Canyon, passing between ocotillo, creosote bush, and other desert brush. A mile and a half from the start, the trail enters the canyon. An old track splits to the right heading closer to the creek bed past an old mountain lion warning sign. The more traveled trail continues along the south wall, eventually dropping across the creek bed to reunite with the other path and continue up canyon. If at least a trickle of water is flowing down the sand, the waterfall ahead should be full of life. The trail becomes less defined as the canyon walls close, requiring you to scramble over rocks and dance around vegetation. 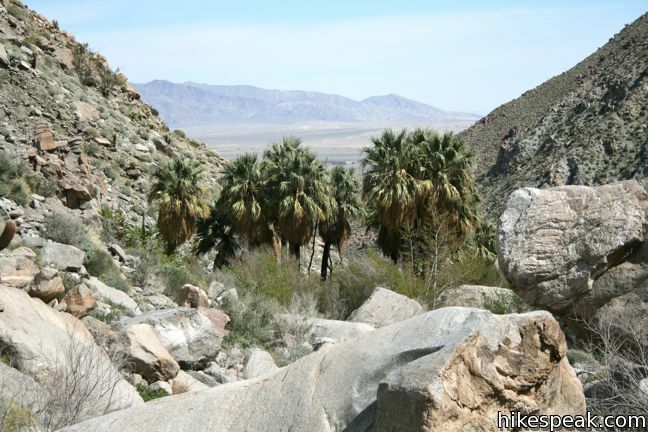 Pass a small cluster of palms at around mile 2.15 and press on to a larger oasis 1/3 of a mile up the canyon. 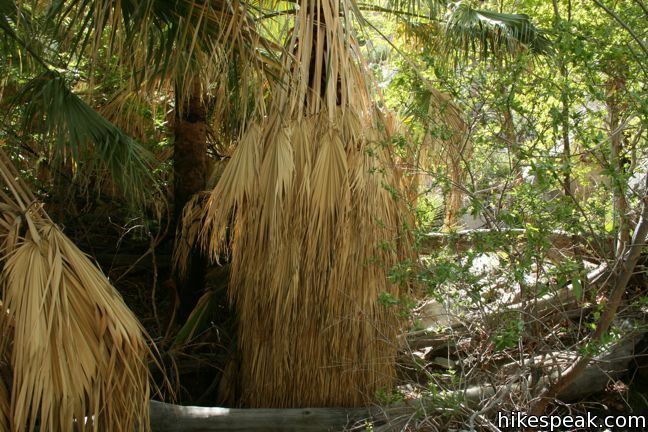 Many hikers turn back here, trading in the relief of the falls for the shade of the palms. With that, the trail grows even fainter. Make your way up along the creek, following traces of trails toward a common destination. Sycamores and cottonwoods are as thick as thieves, huddled along the bottom of this thin riparian zone. A slight 10-foot waterfall just below Maidenhair Falls might be confused with the desired cascade. Do not stop here! Continue a few hundred feet up a rocky slope to reach the more impressive Maidenhair Falls. 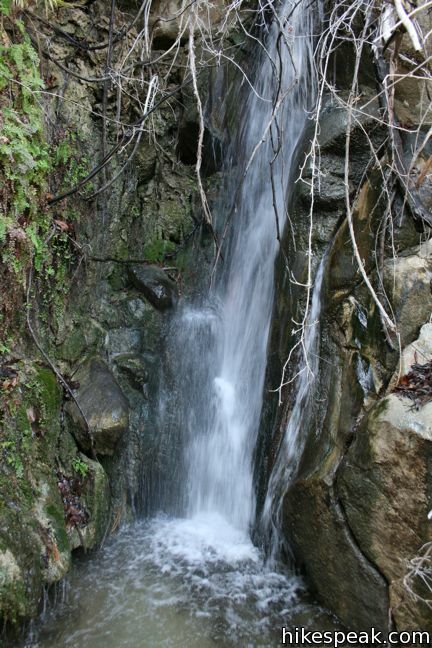 The sound of tumbling water leads to a twenty-foot waterfall in the center of the canyon. Maidenhair ferns adorn the moss-covered rocks around the falls, giving the waterfall its name. Thankfully it is not called Hellhole Falls, as that title would be ill-suited for such a serene seasonal cascade. Maidenhair Falls is approximately 2.75 from the trailhead (the exact distance can vary depending on your route up the canyon). 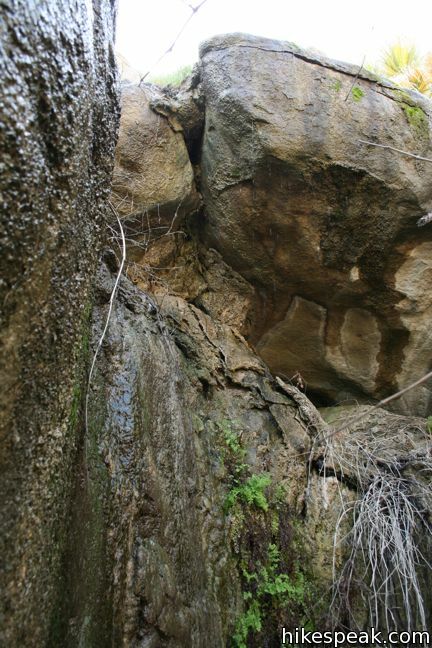 After an arduous climb, step into the calf-deep pool and shower yourself below the falls. 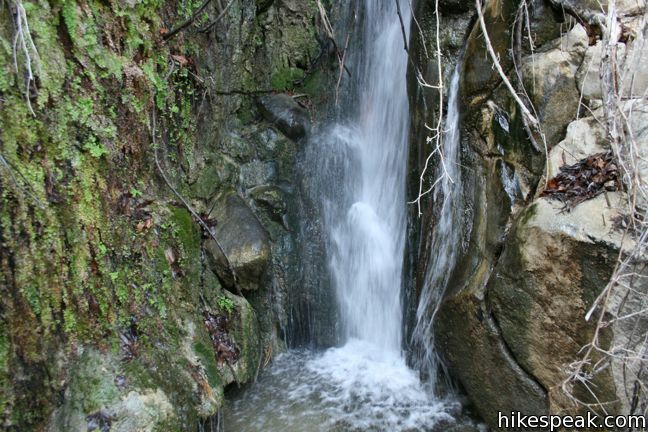 The cool waters will leave you feeling refreshed and re-energized for the entire hike down the canyon. 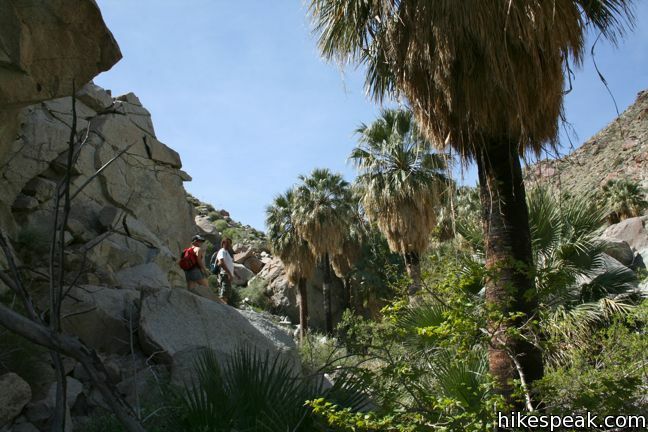 Maidenhair Falls is an excellent hiking destination in the Anza-Borrego Desert. 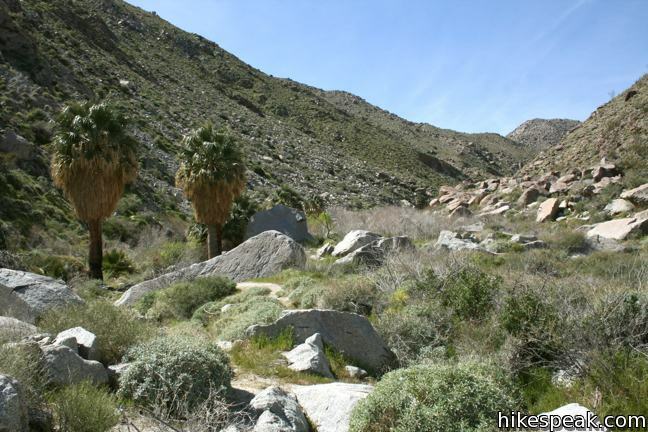 If it is hotter than a hellhole in Borrego Springs, head up the trail to Maidenhair Falls for an exhilarating cold shower. 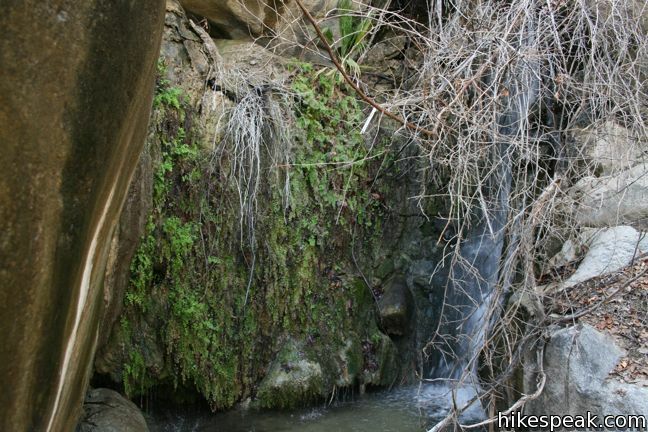 No fee or permit is required to hike to Maidenhair Falls in Anza-Borrego Desert State Park, so get out and enjoy! 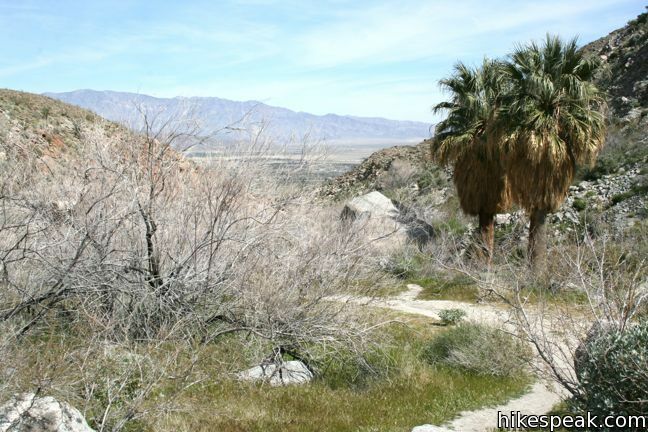 To get to the trailhead: From Christmas Circle in Borrego Springs, drive 1.3 miles west on Palm Canyon Road. Turn left on Montezuma Valley Road (Route S22), which is 0.4 miles before the park visitor center. Drive 0.8 miles south and turn right into the large dirt parking area at the trailhead (just before the road heads up the mountain). There is a bathroom at the far end of the lot away from the start of the trail. 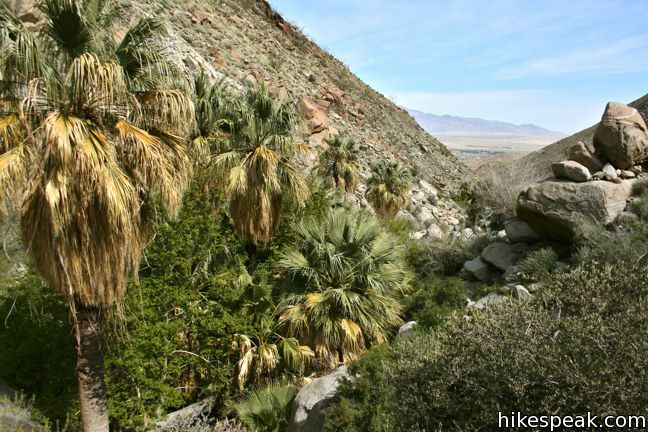 This 1.5-mile hike follows a footpath across Tubb Canyon to Big Spring in a desert canyon below Pinyon Ridge. 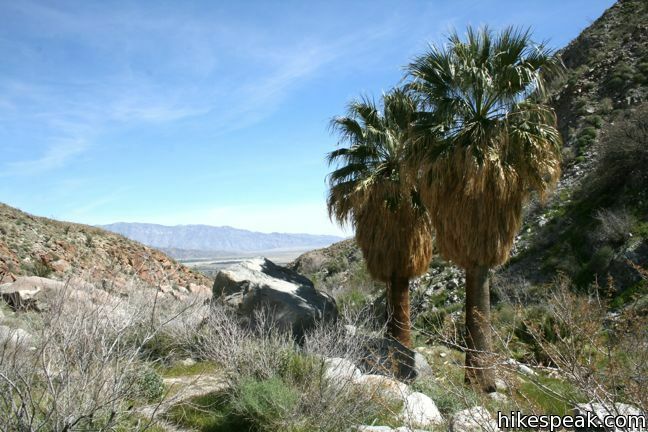 This 2.2-mile loop visits Culp Valley Overlook and Pena Springs, delivering views of the San Ysidro Mountains and Borrego Valley along the way. Going to hike this on Friday! Can’t wait! 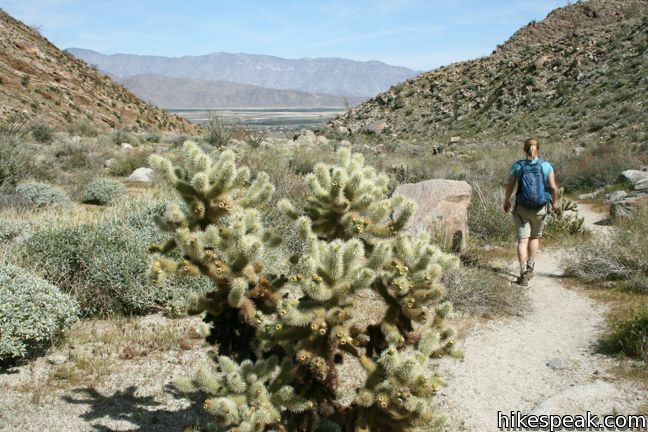 heading over to the park in a week and can’t decide between the this and Borrego Palm Canyon. Which do you prefer? Both hikes are fun. 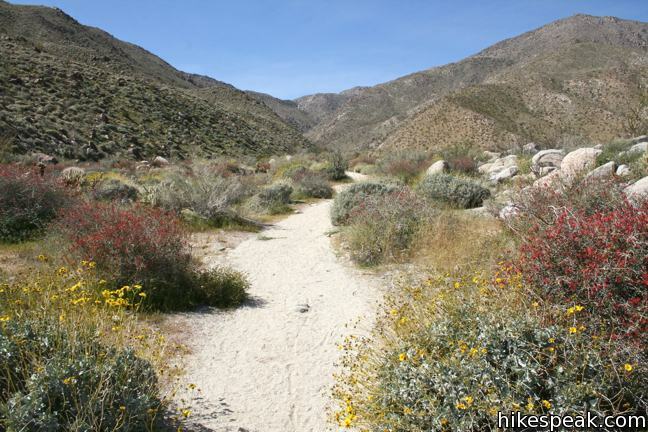 Hellhole Canyon is a bit more of an adventure so I would lean that way if you could only do one hike. 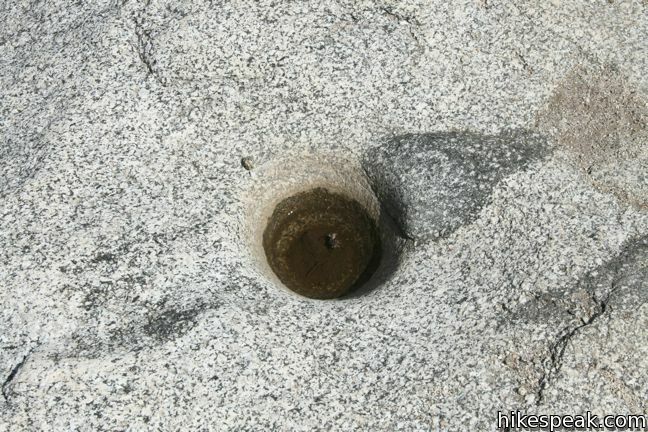 It is pretty dry out in the Anza-Borrego Desert this year. Check at the visitor center when you arrive to make sure there is water in Maidenhair Falls. 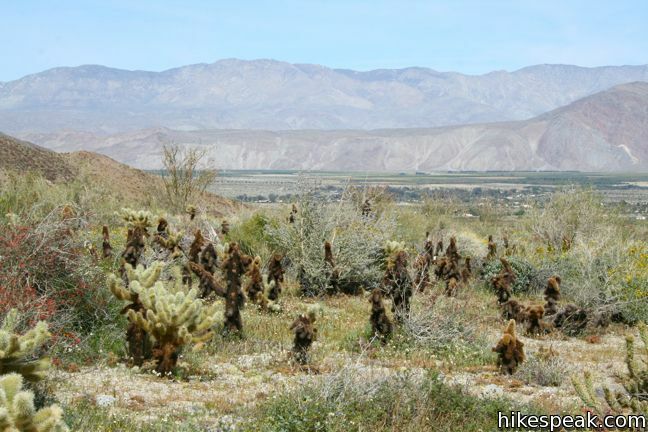 wondering if anyone has hiked Hellhole Canyon in the past week or so? Just want to know if there was water at Maidenhair Falls? Tessesa: did you end up going? was there water? I was considering hiking from the Culp Valley campground to Maidenhair Falls. Ever done that? Not sure how far that is, but I was going to have someone pick me up at the trailhead so I don’t have to hike back up to the campground. Haven’t hike all the way down from Culp Valley, but sounds fun! 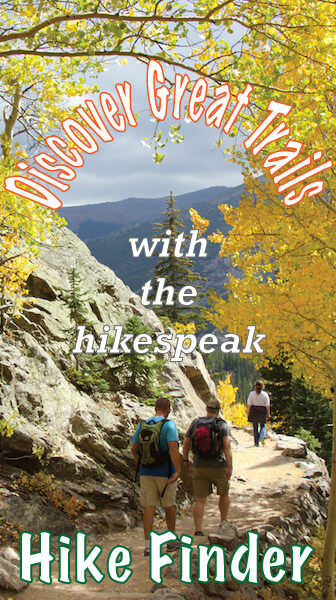 Did you end up doing the hike from Culp Valley to Maindenhair Falls? I was thinking about doing the same thing this upcoming weekend. 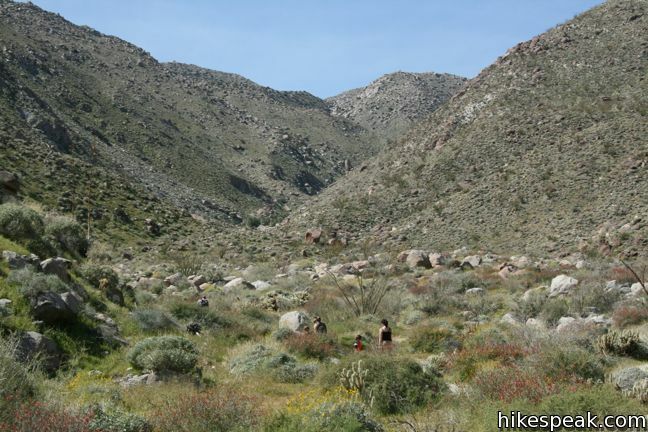 We hiked Hellhole Canyon on April 8, 2014, it was a 101 degrees that day. We started early in the a.m. There was only a little bit of water trickling and a small pool, but the maidenhair fern was lush and lovely. The situation w/ water was the same when we hiked it in Nov. 2013. Have been there in the past when the fall was gushing. Trail gets lost when you get to the palms and standing water, but there is maidenhair up there! Do you think this is safe for hiking with a toddler in a back carrier? Any mums do this before? Almost died doing this hike. couldn’t even make it to the palms. another group turned back before us. Make sure u carry more water then u think u need. Temp was 93. guess at 28 I’m no longer in shape. I would not recommend toddler. Is there actual water falling from the waterfalls this time of month? Small amount of water at the fall as of Feb 3 2018. Definitely enough to fill up water bottles and relax. Can our dog accompany on this trip? No. Dogs are not allowed. Anyone been out there recently? Any water? Update for Saturday, April 13, 2019: water still flowing at the falls.